In Louisville, Kentucky, a Jeep ran into a school bus at an intersection. The Jefferson County school district reported that 15 people suffered personal injuries, 13 of the 15 injured were students from the Brandies Elementary School and Foster Academy. 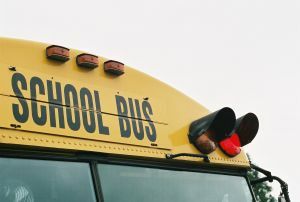 Drivers should exercise caution when driving near any school buses. Children are at risk for injury in school bus crashes even if the the school bus is hit by a much smaller vehicle. You can read about this story at 13 Hurt in Kentucky School Bus Crash.